God’s action in Jesus Christ, and therefore his lordship over his creature, is called “the kingdom of heaven” because first and supremely it claims for itself the upper world. 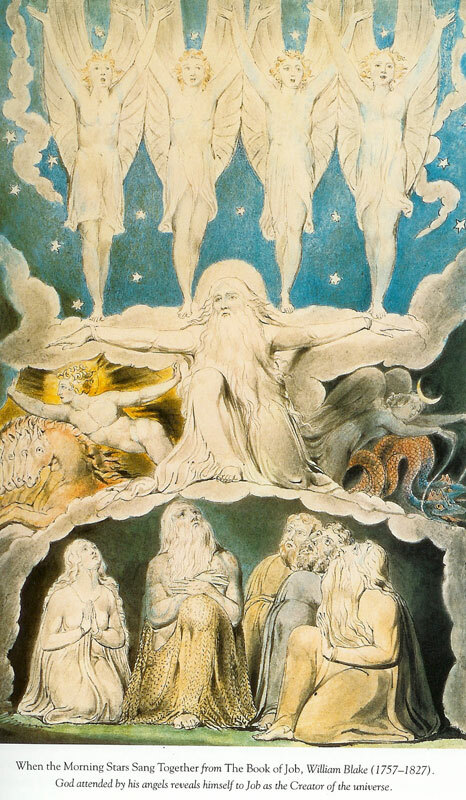 From this God selects and sends his messengers, the angels, who precede the revelation and doing of his will on earth as objective and authentic witnesses, who accompany it as faithful servants of God and man, and who victoriously ward off the opposing forms and forces of chaos. 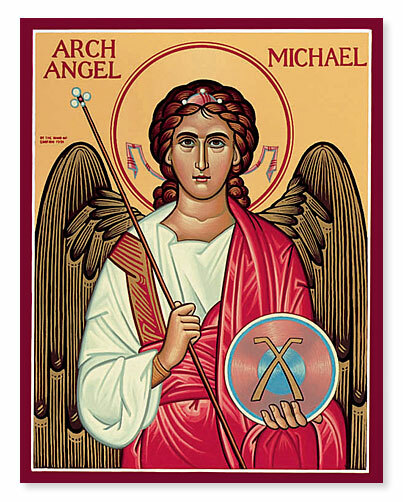 The formal veneration of Michael began in the Christian East, where he was invoked particularly for the care of the sick. A famous appearance of Michael at Mount Garganus (Monte Gargano) in Italy in the late fifth century was important in the spread of his veneration to the West. The feast of Saint Michael on September 29 commemorates the dedication of his basilica on the Salarian Way near Rome. From early times his veneration was strong in the British Isles, such that by the end of the Middle Ages in England, almost seven hundred churches were dedicated to him. He is the patron of the monastery fortress of Mont-Saint-Michel off the coast of Normandy and of Coventry Cathedral, England’s most famous modern cathedral, which was built out of the ashes of the devastation of that city during the Second World War. and remember his commandments and do them. and his kingship has dominion over all. and hearken to the voice of his word. you ministers of his who do his will. 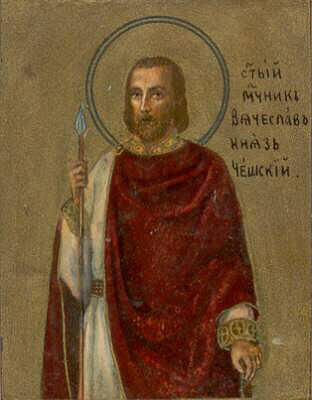 Wenceslas (Vyacheslav) the Good reigned as duke in Bohemia from 922 to 929. He was the son of Duke Vratislav and received a good Christian education, supervised by his grandmother, Ludmila. After Vratislav’s death around 920, Wenceslas’ mother, Drahomira, became regent, but her violent actions so estranged the people that Wencelas took over the government himself in 922. A man of great piety, he worked for the religious and cultural improvement of his people and sought to bring them into closer connection with Western Europe, entertaining friendly relations with Germany. This policy, and the dissatisfaction of the pagan elements of the populace, probably led to his being martyred by his brother, Boleslav, around 929. He was soon venerated as a martyr, and Boleslav himself had Wenceslas’ relics translated to the Church of Saint Vitus in Prague. His feast day of September 28 has been observed in Bohemia, whose patron he became, since 985. John Mason Neale’s carol, “Good King Wenceslas”, is not based on any known incident in the life of the saint, but is probably intended as a pious illustration of the virtue of charity, Saint Stephen’s Day (or Boxing Day) being a traditional day for giving to the poor. Almighty God, by whose grace and power your holy martyr Wenceslas was faithful even to death: Grant us, who now remember him in thanksgiving, to be so faithful in our witness to you in this world, that we may receive with him the crown of life; through Jesus Christ our Lord, who lives and reigns with you and the Holy Spirit, one God, for ever and ever. Amen. Matthew appears in the Gospels as a tax collector for the Roman government in the city of Capernaum. He was probably born in Galilee of a Jewish family, although the Jews of the day despised tax collectors as traitors and collaborators with the Roman oppressors and generally excluded them from the activities of the Jewish community. Pious Pharisees refused to marry into a family who had a tax collector as a member. Yet in the Gospel of Luke, Jesus notes that it was the tax collector rather than the prideful Pharisee who prayed an acceptable prayer, “Lord, be merciful to me, a sinner”, and went home justified. In the Gospels of Mark and Luke, Levi, not Matthew, is called to discipleship, but Matthew always appears in the lists of the twelve disciples. In Mark and Luke, Matthew and Levi do not seem to be regarded as the same person; Origen and others distinguished between them as well. However, it is sometimes suggested the Levi was his original name and that Matthew, which in Hebrew means “gift from God”, was given to him after he joined the followers of Jesus. Mark calls him the son of Alphaeus, a man otherwise unknown and apparently not the Alphaeus who was the father of James the Less. Since the second century the authorship of the first Gospel has been attributed to Saint Matthew. The name Levi does not appear in this Gospel, and in the list of the twelve disciples the name Matthew, who is identified as “the tax collector” (“publican” in older translations), comes after that of Thomas, which it precedes in the other New Testament lists. Little is known of Saint Matthew’s life beyond the story of his call, when at the word of Jesus he left his desk and devoted himself to following Jesus. Tradition suggests that he was the oldest of the twelve disciples (and of the later Twelve Apostles). The fourth-century bishop and historian Eusebius writes that after the Ascension Matthew preached for fifteen years in Judaea and then went to foreign nations. Socrates Scholasticus writes that he labored in Ethiopia. Ambrose of Milan sends him to Persia and Isidore of Seville to the Macedonians, while others hold that he preached among the Medes and the Persians. Heracleon writes that Matthew died a natural death, but later tradition makes him a martyr, dramatizing his death by fire or the sword. But as for you, continue in what you have learned and have firmly believed, knowing from whom1 you learned it and how from childhood you have been acquainted with the sacred writings, which are able to make you wise for salvation through faith in Christ Jesus. All Scripture is breathed out by God and profitable for teaching, for reproof, for correction, and for training in righteousness, that the man of God may be complete, equipped for every good work. The Lesson, Epistle, and Gospel are taken from the English Standard Version Bible. The Collect and Psalm are taken from the Book of Common Prayer (1979). 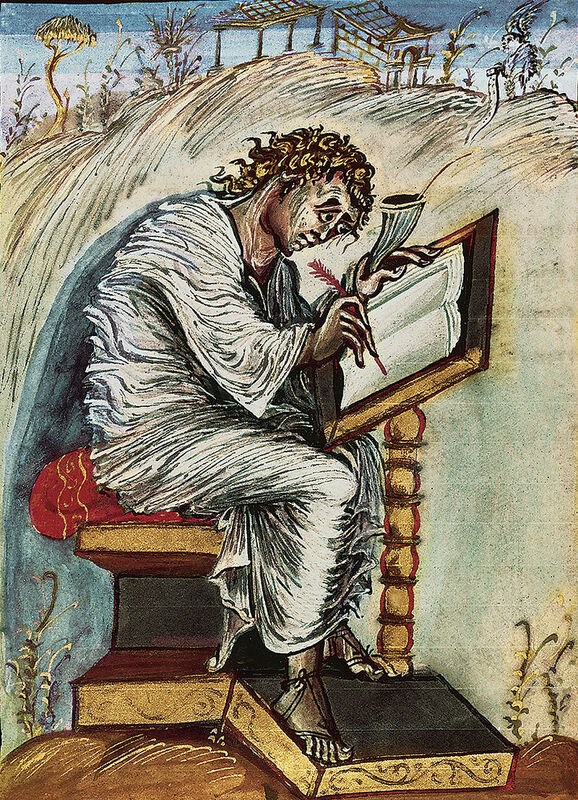 The icon of St. Matthew is taken from the Ebbo Gospel Book, an early Carolingian illuminated Gospel book notable for its unusual, energetic style of illustration. The book was produced in the ninth century at the Benedictine abbey of Hautvillers, near Rheims.